NaturalOn Tea Tree Cool contains Tea tree oil and natural herbal ingredients that supply nutrition for weakened scalps and hair for healthy care and for relaxing effects on sensitizes scalps. Tea tree oil and peppermint ingredients remove sebum accumulated in the scalp and maintains oil-water balance for refreshing scalp care. 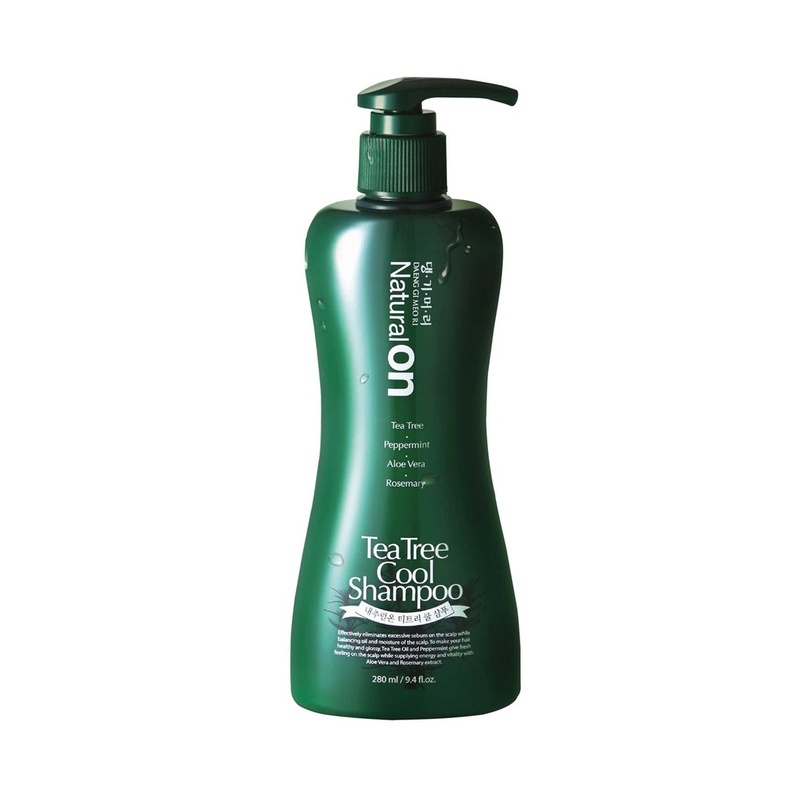 Natural herbal ingredients of aloe vera and rosemary adds moisture and nutrition to dry hair for moist and shiny care. The rich and mild foams of naturally dervied surfactants gently and refreshingly washes away sebum and wastes in the scalp for refreshing scalp and hair care.